A couple months ago when I made some fun ribbon cupcake toppers (seen HERE and HERE), my brain started spinning with all the pretty ribbon toppers I could make for most any occasion. I looked through my ribbon collection and found a pretty pink ribbon with the word “princess” on it. The word was the perfect length to make a ribbon topper. Don’t you just love when things work out? 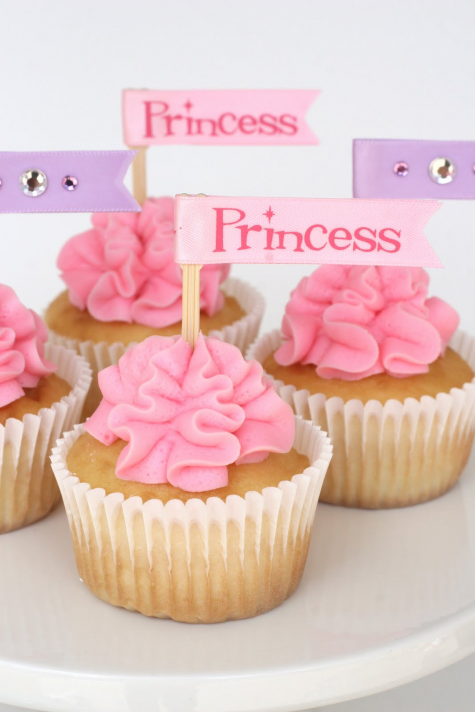 I thought if I was going to make princess cupcakes, it would be the perfect opportunity to try out a new frosting technique. 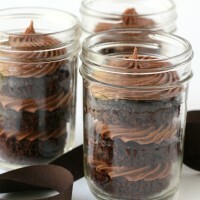 I have a couple of gorgeous friends in Australia who co-own a custom dessert business, The Cupcake Company. These lovely friends, Sharnel (who many of you know from My life- My loves) and Keren, have perfected a beautiful ruffle technique for frosting cupcakes. I’ve marveled at the beautiful shape for some time, and after some tips from Sharnel, I gave it a try. I was quite happy with the results, and I’m sure I’ll be using this style again. If you’d like to give it a try, you need a Wilton 2D tip (a large, closed star tip), a piping bag, and some yummy frosting (HERE is one of my favorites). Simply hold the frosting bag straight above the cupcake, and give a good squeeze. You can practice onto a plate and then just put the frosting back into the piping bag when you’re ready to it try on your cupcakes. You can also experiment with a tiny bit of side to side (horizontal) movement of the tip, to get a nice even “S” shape up the sides of the pile of frosting. I added the princess ribbon toppers along with some lavender ribbon toppers. I made the lavender ribbon toppers with a plain lavender ribbon, and then added a few self-stick scrapbooking jewels. 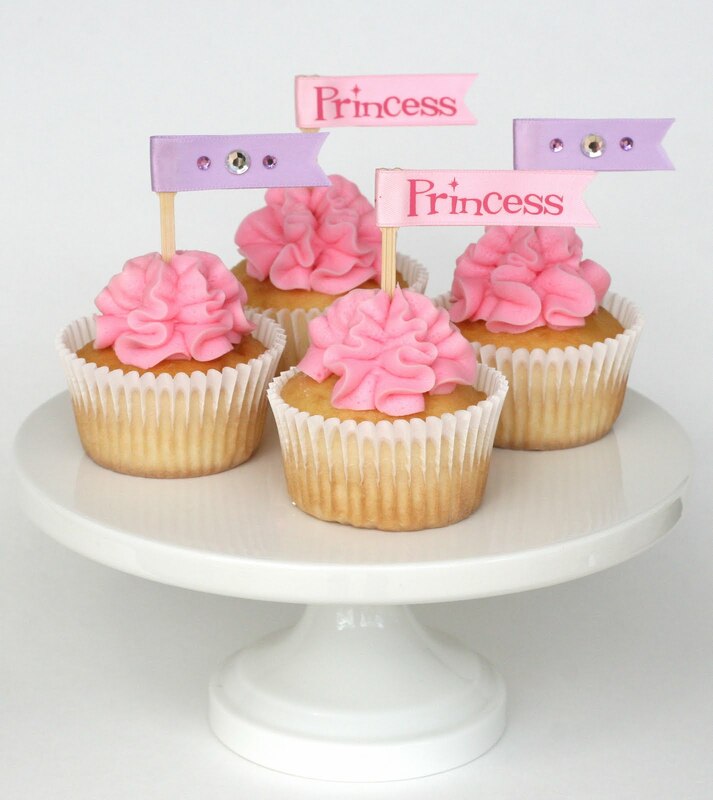 Pink ruffled frosting with pink and lavender ribbon flags… a combination fit for any princess. So simple – so cute! These are adorable!! I love the ruffled frosting and your toppers are precious! Awww! These are so cute! I will have to make some for my little princess! Thanks for sharing! So elegant! Definitely going to give that a try. Thanks! Yea! I think I can do this! It very simply adds a lot! Thanks! I'm so glad you showed us how to make these! I never know what tip to us and now I do! Thank you. You made Craft Gossip! Congrats! i LOVE the ribbon cupcake topper idea! and you are also INSANELY organized. Actually Anon, it was my business partner Keren that showed me the ruffle. Not Kylie Lambert. I hope we all don't have to give Kylie credit for every cupcake we make. Because she wasn't the first to make cupcakes. Thanks Glory for this lovely little credit. Anon – yes it was me that showed Sharnel this method. I'm not sure if I 'invented' it but I have been doing it for quite a few years now and to be honest I actually created it by accident. So I don't think we need to thank Kylie for it. Thanks girls for all the sweet comments! Anonmous- Kyle does do incredible work, and I have been inspired over the years greatly by her. I am always careful to give credit where it is due, to the best of my ability. I don't recall ever seeing Kyle post photos of this style, infact, when you wrote this comment I looked back through her flickr work to see if I was mistaken. I only found maybe one example of this technique. I know that I first saw this technique done by Keren and Sharnel, and they have posted dozens of photos over a several year period using this technique. I appreciate very much what Kyle has done for the world of cupcakes, but I believe that I credited the correct source in this case. Love your blog! Came here via foodgawker. Just read up on your cookie tutorial and some cupcake tutorial. Your work is gorgeous. I'm definitely coming back as I want to try decorating cookies. 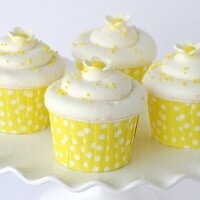 Hi, do you have a receipe for vanilla cupcakes or is it the same like the perfect chocolate one just without cocoa? So simple, yet so pretty! I love it!